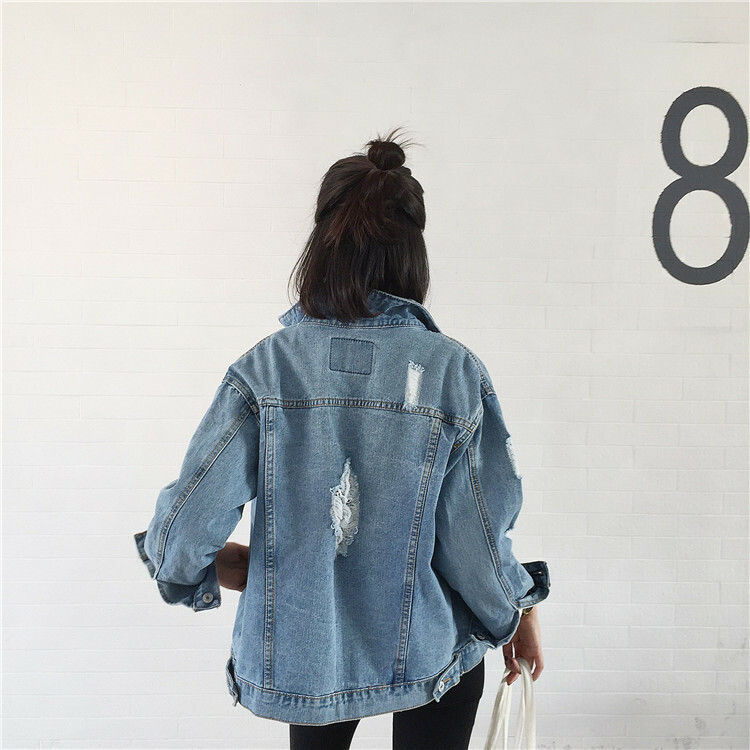 Be in when wearing this Blue Denim Jacket. This denim jacket is made for ladies who wants to achieve that laid back boyish style that will still make them as pretty as they could be. It has some ripped design that gave it a more ragged look. This will be a great outfit to wear on your next hang out with your friends. the shipping was very quick and the quality is really nice! like a picture. Is To gift. quality nice recommend brand. thanks! This denim jacket is awesome. Very good quality, everything as in the pictures. Good contact with the seller. The only tiny flaw of this jacket are loose-fitting sleeves but even though I definitely recommend.